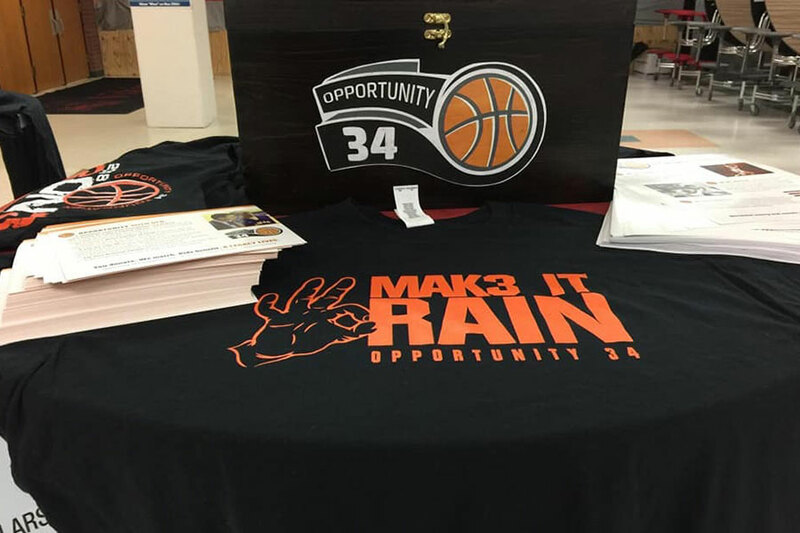 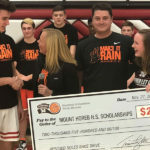 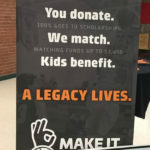 The “Make It Rain” Opportunity 34 Night at Mount Horeb High School on Tuesday, November 27, was an overwhelming and uplifting experience. 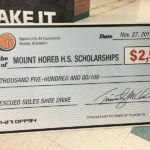 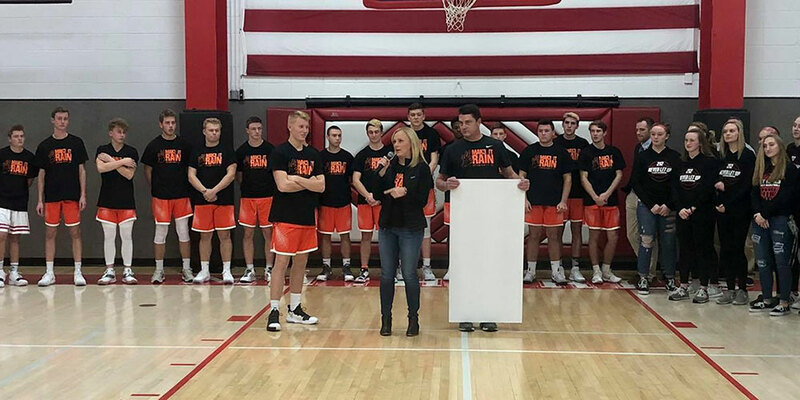 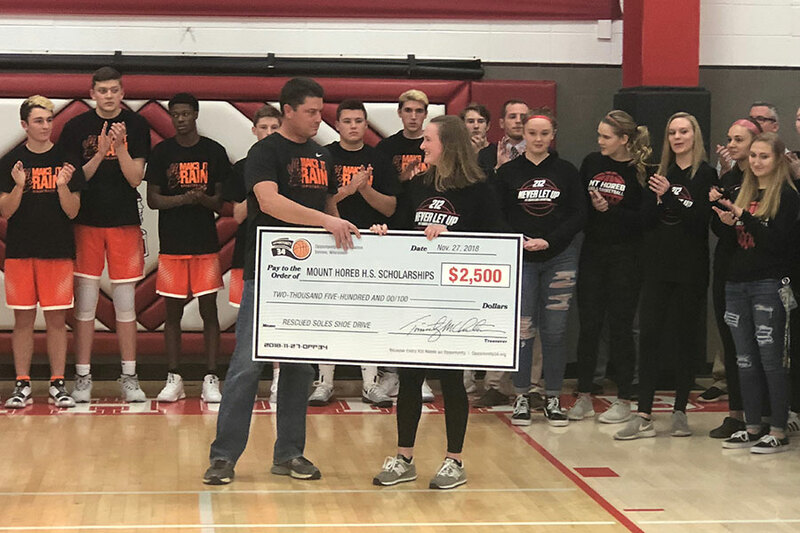 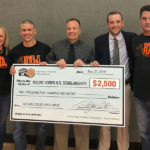 The night began with the presentation of the $2,500 check for the Mount Horeb High School Scholarship Committee, awarded for the school district’s winning the Rescued Soles Shoe Drive at the 3-on-3 tournament in October. 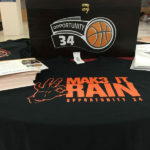 The sight of players wearing “Make It Rain” t-shirts during warm ups was an awesome way to begin game activities. 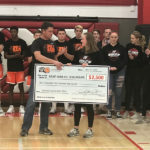 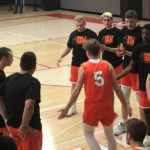 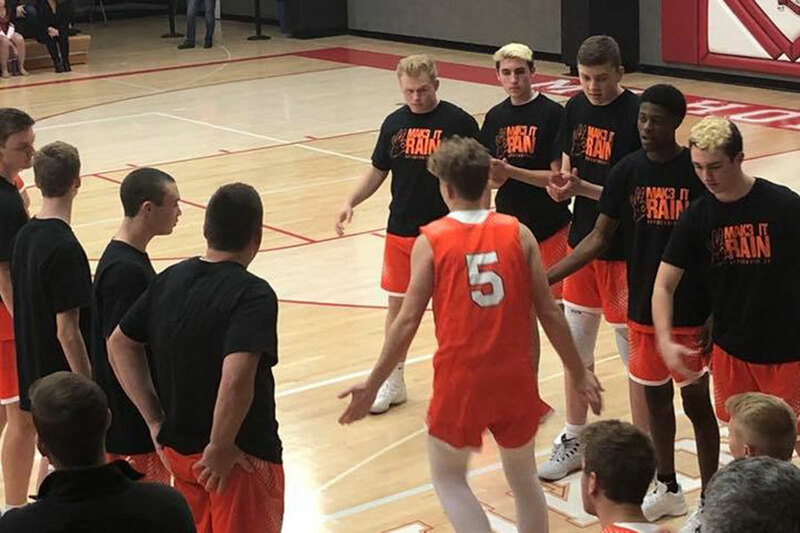 During the first timeout, the Mount Horeb students led a “Miracle Minute” of fundraising by passing around collection buckets throughout the bleachers. 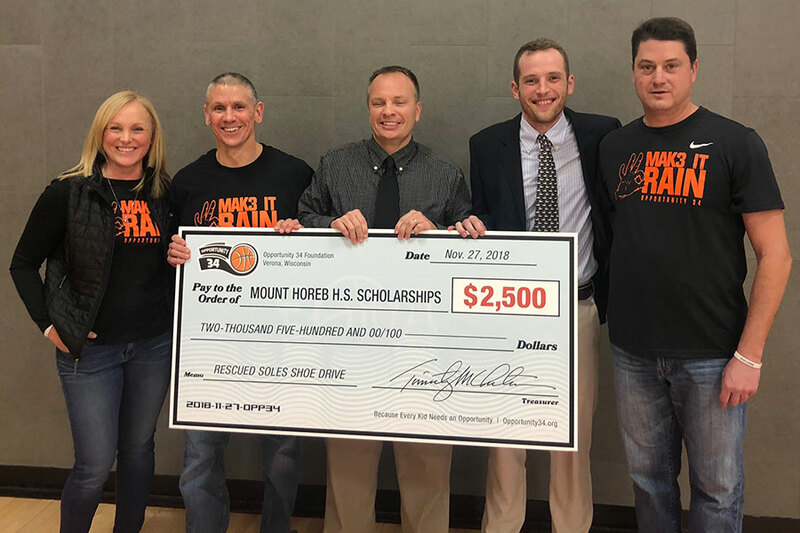 Amazingly, donations from the Miracle Minute and a bake sale netted $2,150! 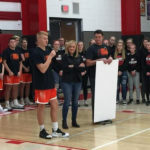 Just an amazing response from the Mount Horeb basketball community. 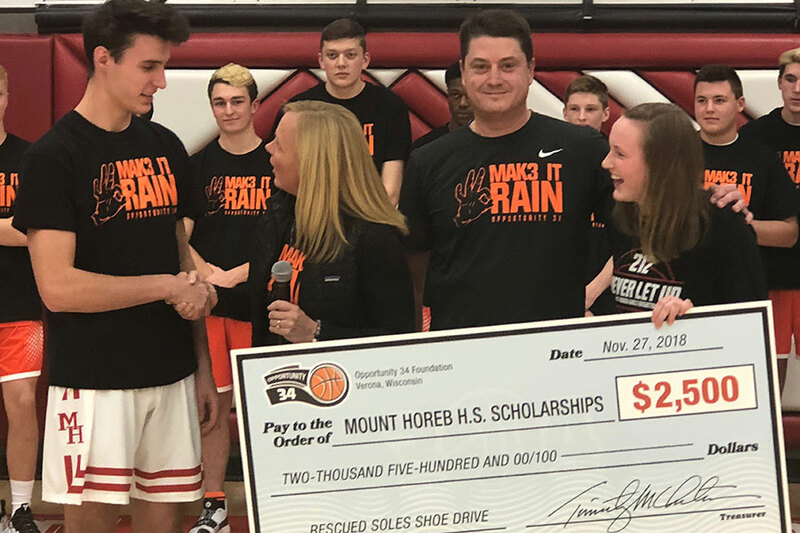 It was also fitting that it was “raining threes”, literally, during the game — Mount Horeb had 11 made threes and Oregon splashed 9! 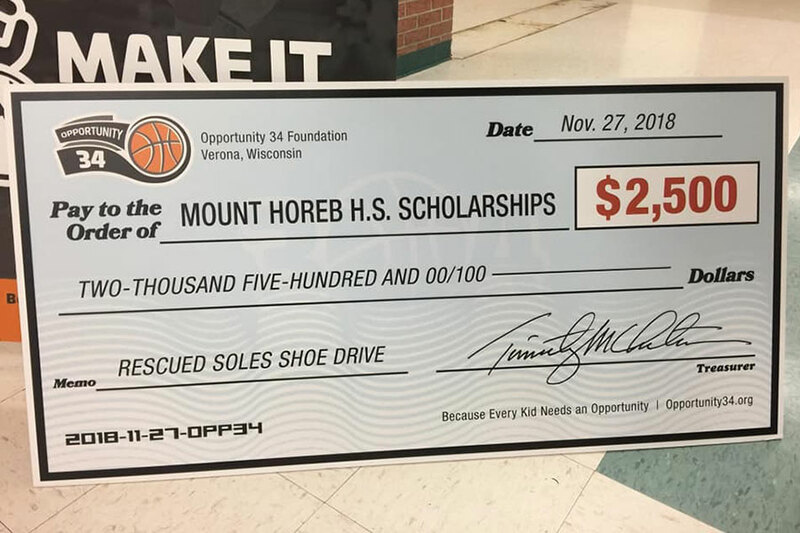 With our matching from Tuesday’s event and the scholarship from Rescued Soles, Opportunity 34 will be making a $6,800 donation to the Mount Horeb High School Scholarship Committee. 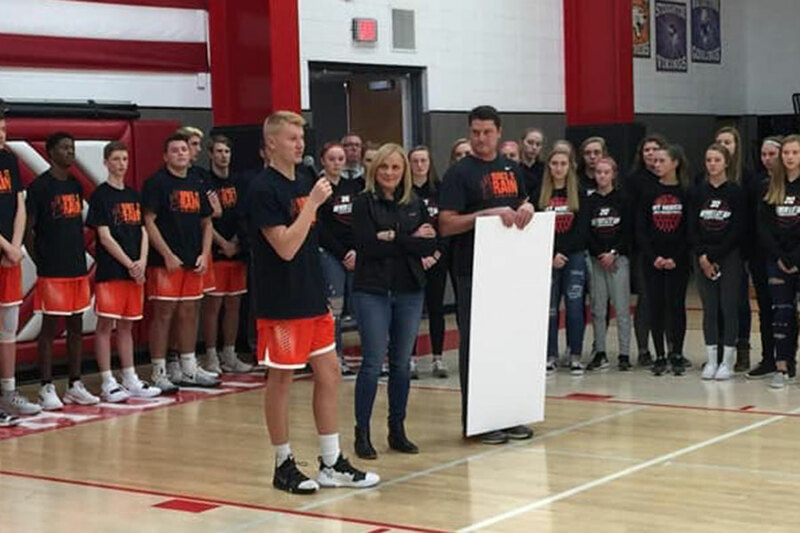 Thank you so much, Mount Horeb, for your support and for making a difference in your community… truly inspiring!